The new concept for complete rejuvenation of the face. 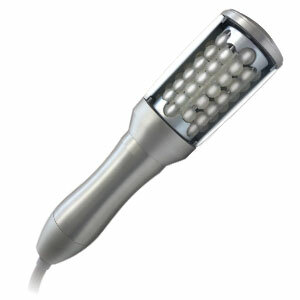 Sensorized Ablative Microvibration: performs a superficial peeling and relaxes the wrinkle. 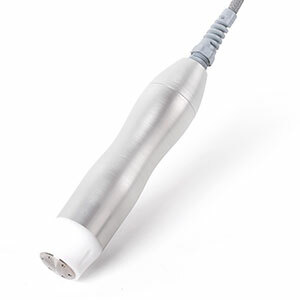 Improves microcirculation and tissue oxygenation, eliminates toxins, acts on cellular toning. 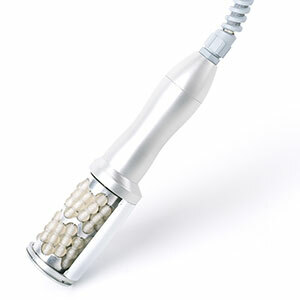 Vibro-electro Vehiculation: activates cellular metabolism, deeply nourishes the tissue. EVA – Endo Ablative Vibration: the new high-tech concept for a complete treatment protocol for facial rejuvenation. Three methods are integrated into the EVA protocol, which carries out complete skin and muscle regeneration work, for an innovative and surprisingly effective, safe and completely non-invasive therapy. EVA is a modular device, equipped with three handpieces, each with a specific function, which work in syn-ergy, generating the “WOW” effect during the session and in the final results. The direct application of the active principle favors the transmission of a high percentage of compound in the desired area (up to 90%), reducing the amount of active ingredient used overall.